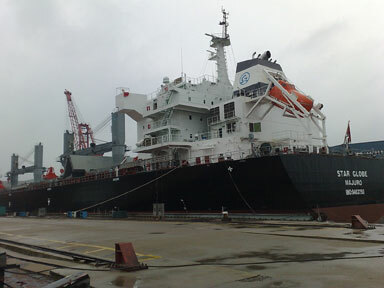 Globus Maritime Limited (the "Company" or "we") is a drybulk shipping company, providing marine transportation services on a worldwide basis. The Company was incorporated on July 26, 2006 in Jersey to consolidate our founders' ship-owning and ship-management interests and has executive offices in Athens, Greece. On November 24, 2010, Globus Maritime Limited redomiciled into the Republic of the Marshall Islands. We currently own five modern drybulk carriers, consisting of one Panamax, and four Supramax vessels with a weighted average age of approximately 10.6 years as of September 30, 2018 and a total carrying capacity of 300,571 DWT. We intend to grow our fleet through timely and selective acquisitions of modern vessels in a manner that we believe will provide an attractive return on equity and will be accretive to our earnings and cash flow based on anticipated market rates at the time of purchase. Terms and conditions of use | Maintained by Capital Link, Inc.